Cryptocurrencies are digital or virtual currencies that make use of encryption for security. As they are anonymous and decentralized in nature, one can use them for making payments that can’t be tracked by governments. As crypto-mining has gained popularity, the website owners are now using cryptocurrency mining scripts to use the CPU power of the visitors for earning profits. 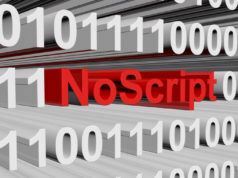 This has also inspired some developers to come up with methods to block cryptocurrency mining in the web browser via different methods. The Pirate Bay, the world’s most popular torrent website, was recently spotted testing a Monero cryptocurrency miner on their websites. The website confessed that it could be using coin mining in future to keep the website running. This was followed by some other reports of similar nature. This practice isn’t new, but the Pirate Bay was the first popular website that was seen using a cryptocurrency miner. This has also fueled the ethics debate as the website owners are found to be keeping the visitors in the dark. How to find out if my PC is secretly mining cryptocurrency? Apart from ransomware, bitcoin mining malware are rising in popularity at an exponential rate. 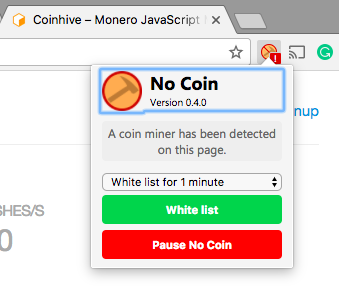 In case the culprit is some website which is using your web browser to mine crypto coins, you can find that out easily. The Pirate Bay users spotted the miner due to a huge spike in CPU usage when they visited the website. You can also use the same technique to see if a particular website is sweating your processor and earning money. In case most of the browser tabs are closed, and no applications are running, there are chances that you are becoming a target of such mining campaign. If you aren’t much tech-savvy, you can perform hit and trial with the suspected websites and see which one of them is spiking the CPU usage. The tech-savvy users can perform this task much efficiently with the help of resource monitoring tools. 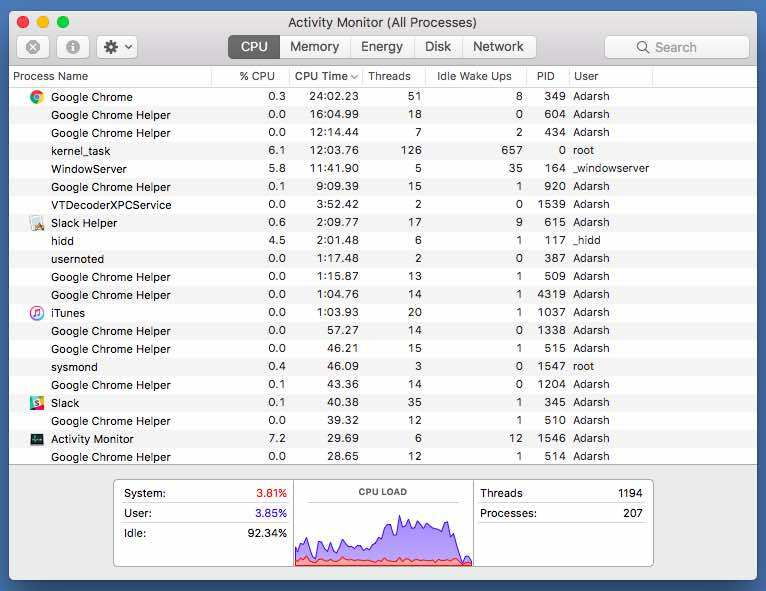 Apart from opening Windows Task Manager with Ctrl+Alt+Delete or Activity Monitor on Mac by pressing Command + Space and search for Activity Monitor, you can open Chrome’s task manager by going to Menu > More Tools > Task Manager. It’ll show tab-wise CPU usage in Chrome and help you spot the culprit. 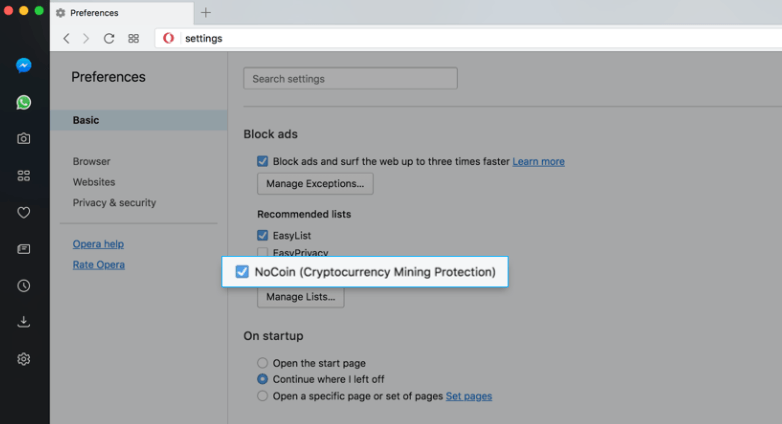 How to block cryptocurrency mining in web browser? Installing Chrome extensions is the most straightforward method to stop coin mining in the web browser. No Coin is one such free solution. 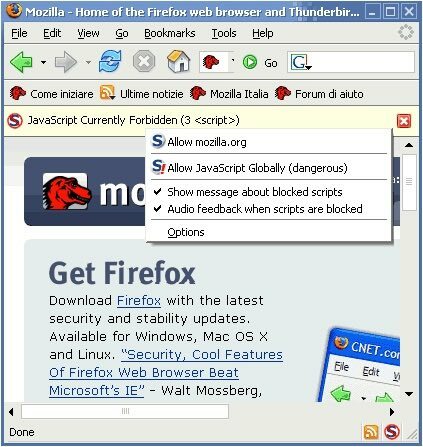 This open-source extension is a reliable and safe way to control how a website is interacting with your web browser. As soon as you visit a website, No Coin will detect and show if any such activity is going on. You’ll see a red symbol as shown in the screenshot below. 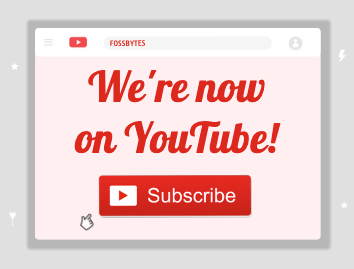 While this extension blocks any such activity, it also allows you to whitelist a website for a period of time. 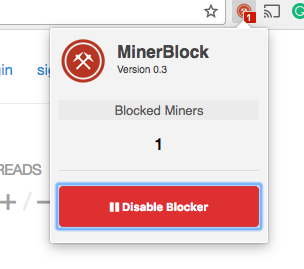 Just like No Coin, minerBlock Chrome extension is another open-source tool that you can use to block cryptocurrency mining in the web browser. 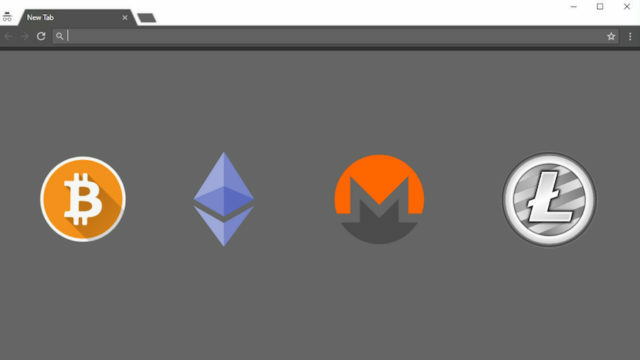 These extensions currently list a few popular miner domains to their list, and they are expected to add more once they get popularity. This is the manual way of blocking particular domains that you don’t find harmful or irritating. 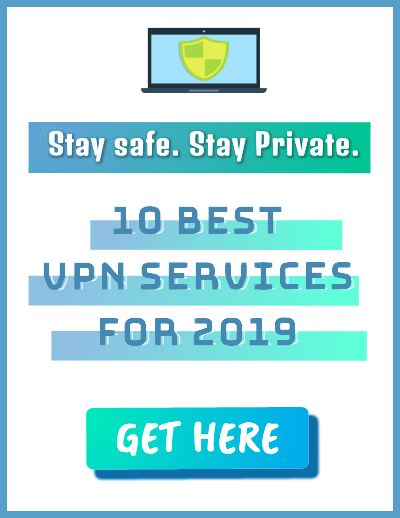 Due to such blocking, your browser won’t be able to connect to these domains. We can edit the hosts file and redirect it to 0.0.0.0. 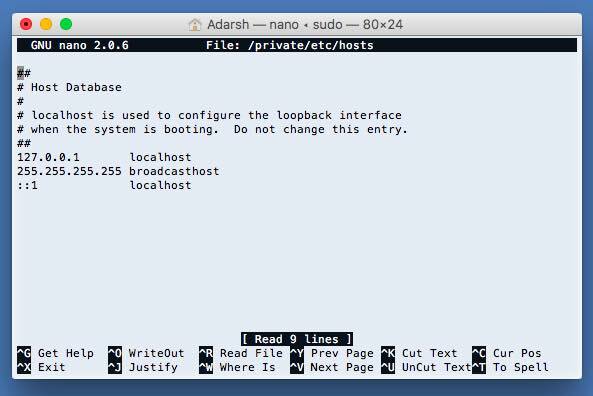 For Windows, navigate to C:\Windows\System32\drivers\etc and edit the hosts document to add 0.0.0.0 coin-hive.com at the end. Please note that this change blocks the mining scripts which are hosted by coin-hive.com. In case you come across other mining script domains, you can add them further down the line. 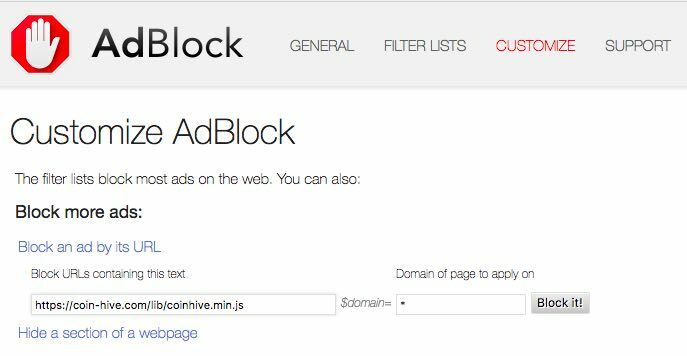 With release of Opera 50 web browser, the company brought in-built functionality to block CoinHive scripts and cryptocurrency mining techniques. This will allow the users to make sure that their computers don’t go crazy whenever any website using the digital coin mining technique is encountered. The users can find this option in Settings (Preferences on macOS) > Basic > Block ads and under the Recommended lists of ad filters. Installing a reputed antimalware solution could act as an alternative to installing Chrome anti miner extensions like Nocoin. The advantage of using a solution like Malwarebytes is that it offers protection to your complete device. Malwarebytes also offers an Android app which comes with 30 days free trial. 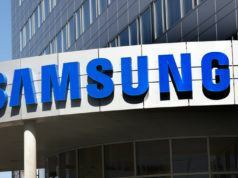 Other top antivirus programmes for your computer have also started offering miner adblocking protection. Should I really go ahead and stop cryptocurrency mining? The answer to this question depends on the website which is using a crypto miner. If the website is notifying you as soon as you visit it and you’re comfortable with it, then it’s no harm. Another point that you must take into consideration is the mining load that your CPU would bear. A website should also let you know how much processing power does it intend to utilize. In case you’re willing to support your favorite website via this alternative source of revenue and they are being honest about their practices, things are fine. Did you find this article to stop a website for mining digital coins helpful? Don’t forget to share your views and feedback with us.